A semi-truck driver hauling what was described as low-level hazardous waste along Highway 95 near Tonopah, was transported to a Las Vegas hospital after suffering from an unknown medical condition. David Jacobs/Pahrump Valley Times Written sources on Nye County history and the oral history interviews and photos were used to write and publish some 20 volumes on the history of Nye County and its communities, including Pahrump, Amargosa Valley, Beatty, Tonopah, Manhattan, Round Mountain, Railroad Valley, Smoky Valley and Tybo. 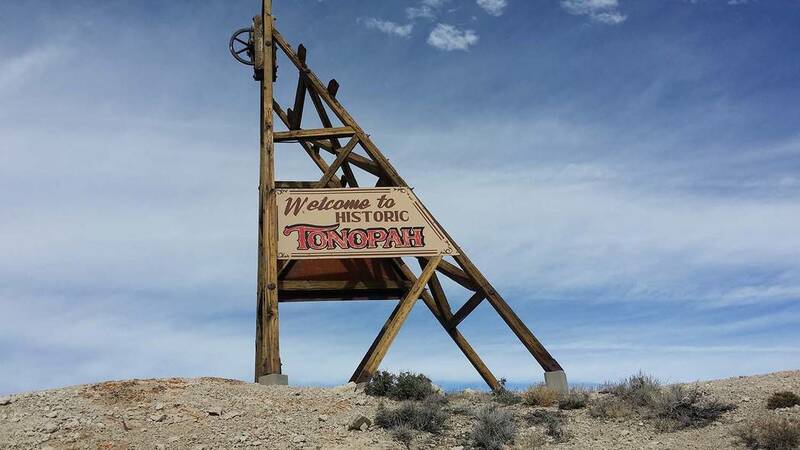 A marker for Tonopah is shown in this photo. The incident, according to Nye County Director of Emergency Management Scott Lewis, occurred Sunday, March 31 just before 8 p.m. The truck’s final destination was the Nevada National Security Site. “The Tonopah Volunteer Fire Department was dispatched for a report of a possible motor vehicle accident involving a semi truck, possibly containing some low-level hazardous waste,” Lewis said. “They responded with their rescue and a medic unit out of Tonopah. As a result of the driver’s condition, Lewis said the scene size-up and risk assessment revealed that the driver apparently sustained a serious medical emergency. Regarding the material being transported, Lewis noted that the situation did not pose any dangers.